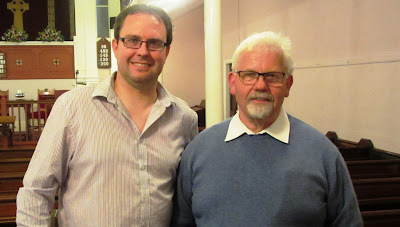 Matt McChlery was duly elected as the new Chairperson of Wisbech Churches Together at the annual AGM on 17 June 2015. He is Director of Music and one of the Worship Leaders at The King’s Church, Wisbech as well as a teacher at Magdalene House Prep School. The former Chairperson, Keith Aplin stepped down after many years of dedicated service. We wish to say a heartfelt thank you to Keith for all that he has done for Churches Together as Chairperson. He made the decision to step down as the Wisbech Foodbank is demanding more of his time and attention.